During our three months in London my existence was ruled by "The List", my line by line definition of obsession; everything I wanted to see, do or visit in the capital. As you can imagine it was comprehensive, an ever growing insanity. In fact sometimes i worried it had a life of its own and would soon begin to campaign for self determination. At times "The List" clashed with my sanity and with normal activities like seeing friends and family. But, occasionally I was released from my self-imposed mania when others suggested meeting somewhere I wanted to see anyway. Ahh, what magic, "Of course I would love to picnic at Kenwood!" 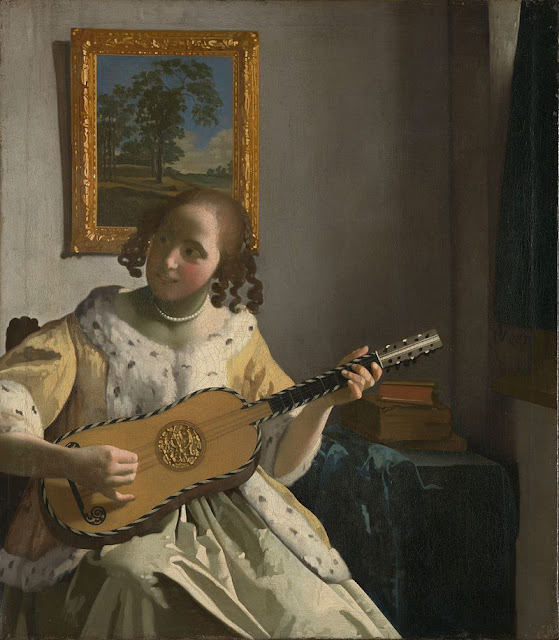 I said with vigor as I remembered it was on "The List" and that there was a Vermeer I'd wanted to see in the collection. Located on the north end of Hampstead Heath, Kenwood House is a delightful place, both to visit and to picnic! 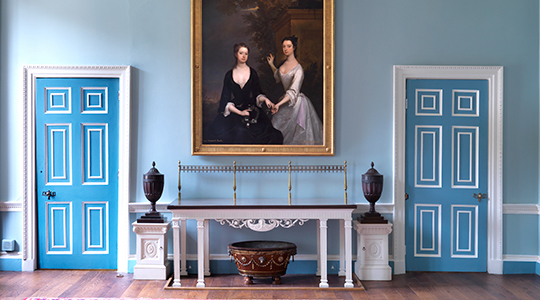 Surrounded by parkland and recently renovated by English Heritage, the house is well worth visiting for it's Old Master's collection, some wonderful old English portraiture and a splendidly decorative Robert Adams interior. 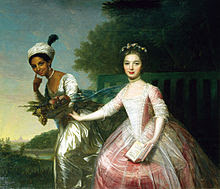 Before a visit I highly recommend the 2013 film Belle, which portrays the story of Dido Elizabeth Belle and her cousin Lady Elizabeth Murray, seen in Johann Zoffany's famous portrait above. Raised together at Kenwood House, by William Murray - the Earl of Mansfield, Dido was the illegitimate daughter of Mansfield's nephew and her mother was an enslaved West Indian woman. Raised in freedom in London, the film explores both her struggles with the limits of social acceptance and Earl Mansfield's rulings as Lord Chief Justice on two major slavery cases. Entrance to Kenwood is free and it's a wonderful place to see a number of important paintings, including several by Rembrandt (above), as well as others by Turner, Gainsborough, Landseer and the delightful The Guitar Player by Vermeer below. This collection was bequeathed to the nation by Lord Iveagh (a member of the Guinness family) on the condition it would be open to the public free of charge. Below is Anthony Van Dyck's 1634, Princess Henrietta of Lorraine, Attended by a Page. The newly restored interior is a must see for anyone interested in British interiors. This is one of the great Eighteenth Century architect Robert Adam's masterworks. The interior was commissioned by the first Earl Mansfield (mentioned above) and finished by 1779. The rooms, and in particular the ceilings, show Adam's classically inspired delicate plasterwork in a palate of pale blue, pink and white. The photograph below shows the extraordinary detail in the Great Library's vaulted ceiling. The entire affair has the feeling of an old fashioned wedding cake, it feels like a pale, classically restrained rococo style. To my modern eye however, the heavy portraits, gold mirrors and the furniture don't seem to fit with the pale ethereal decoration. Though I know English Heritage did extensive research to recreate the original look. As you can see there are lots of classical details throughout. The Adam's rooms lead on to a series of rooms upstairs and downstairs with large collection of paintings. As you can see not all of the house is a dramatic Adams interior. Beyond the Old Masters, Kenwood houses a broad collection of painting including a wealth of English portraiture. Known as the Suffolk Collection, these mainly Seventeenth century paintings are of royalty, courtiers or members of the Howard family. The richness, embroidery and decorative detail on the costumes is incredible. I was very taken by the entire collection. 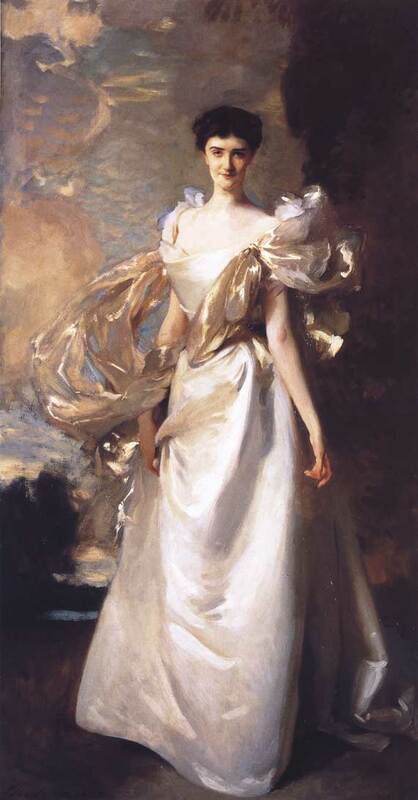 In amongst the Suffolk collection is an 1898 Singer Sargent portrait of the fresh faced American heiress Miss Daisy Leiter. At first this seems incongruous - both in terms of subject and century. That is until you learn that Miss Leiter married a career army officer, Henry Molyneux Paget Howard, the 19th Earl of Suffolk, becoming the Countess of Suffolk in 1904. It is Daisy, that bequeathed the family collection of portraits to the nation on her death in 1974 and her Sargent portrait is therefore another in the line of Howard family portraits to be found in the Suffolk Collection. One of the things I liked most about visiting Kenwood is that it is a place that explores the stories of a number of interesting women, families and histories. In addition to the artworks Kenwood is packed with stuff including a room filled with decorative items, buckles, jewelry and an extensive collection of miniatures. I loved our day out as we joined the throngs picnicking on the sunny lawns surrounding the house. Great company and something ticked off my list, there was nothing more I could ask for until tomorrow! Tip: English Heritage have developed a series of free apps to help you get more out of your Kenwood visit. these include tours focused on the family and Dido Belle, the architecture, the Iveagh Bequest and a highlights tour. There is a sign language tour and an audio description tour too. I found out about the apps when I was writing this blog post, so I'll have to wait till my next visit to give them a go! However, it's great to see English Heritage developing this sort of inclusive "added value" particularly at one of their free sites.